Recently, Talented Learning announced the winners for their vaunted Talented Learning Awards, specifically those for Corporate Extended Enterprise Learning Systems. OnPoint is honored to have been listed among 14 other enterprise solutions, out of over 750(!) 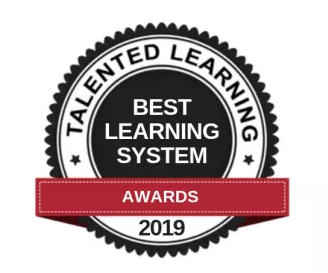 in consideration, and pleased to have earned the Best Learning System award for 2019! In particular, Talented Learning acknowledged our diverse selection of extended enterprise solutions for customers, employees, management or any combination of the aforementioned, as well as OnPoint’s unique ability to assemble highly customizable and visually elegant learning solutions for a variety of industries and use cases. We know this has been an important feature for many of our clients, and it is our pleasure to be recognized for our efforts with those who have worked with us to assemble tailor-made learning platforms that reflect each individual’s unique business rules and needs. Congratulations to the other finalists and winners this year! We are, as always, humbled to be recognized for our efforts here at OnPoint Digital, and eager to continue innovating in this field. Take a look at our Awards page to view our previous accolades.